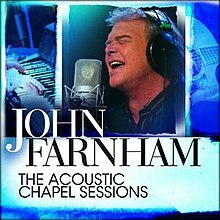 The Acoustic Chapel Sessions is a live album by Australian singer, John Farnham. It was released through Sony BMG, as a CD/DVD package in September 2011 and the album peaked at number 10 on the ARIA Charts. The CD, recorded at Chapel off Chapel in July of that year, consists of eleven of Farnham's songs stripped back and in acoustic mode. 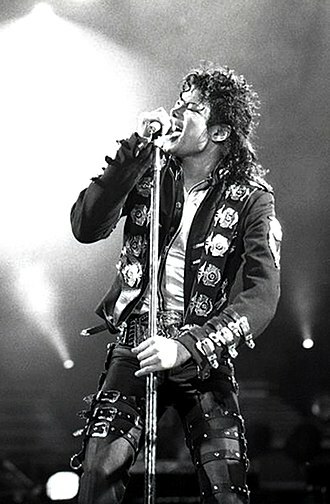 The DVD package includes eight songs plus interviews with the artist and his backing band members, and behind-the-scenes footage. The release of The Acoustic Chapel Sessions coincides with the 25th Anniversary of Whispering Jack, Australia's highest selling and most successful album ever. 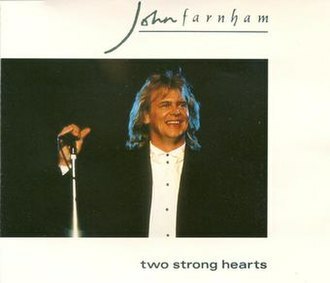 John Farnham explained, "We wanted to rework some of the songs that we have been doing on stage for the last 25 years. It's always difficult to rework something that people are very used to, having said that we have had a lot of fun doing it'. Farnham's manager, Glenn Wheatley, added, "This recording has just given me goose bumps; it's amazing seeing the songs stripped right back and all acoustic. I wonder why we didn't think about doing this earlier". Farnham toured the album nationally in October and November 2011 in intimate venues with smaller audiences than his large stadium shows. Patrick McDonald of Adelaide Now said of the tour, "Magic was the right word. For all the flack he cops about endless comebacks, it would truly be a crime if 'The Voice' was ever silenced." A music video of "Pressure Down" was released to further promote the album. Jon O'Brien of AllMusic gave the album 3 out of 5. 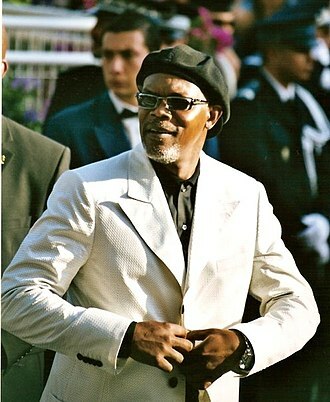 He said that the majority of the album adheres to the "if it ain't broke.." approach but complimented the conviction on "Pressure Down" which abandons its synth-heavy AOR sound in favor of a subtle and soulful gospel vibe, and "Two Strong Hearts", which transforms the impassioned MOR staple into a seductive slice of lounge-pop. O'Brien did comment that the acoustic setting meant some of his bigger/bolder tracks lost their anthemic appeal, in particular "Age of Reason" and "You're the Voice" which removes the bagpipe solo that made it so memorable. The Acoustic Chapel Sessions debuted and peaked on the week commencing 10 October 2011. ^ "John Farnham prepares acoustic album and DVD". www.undercover.fm. 23 August 2011. Retrieved 8 August 2015. ^ "John Farnham - The Acoustic Chapel Sessions". www.jbhifi.com.au. Retrieved 18 July 2015. ^ "Whispering Jack is back". www.abc.net.au. 6 October 2011. Retrieved 8 August 2015. ^ "Whispering Jacks back again and still magnificent". www.adelaidenow.com.au. 5 October 2011. Retrieved 8 August 2015. ^ "John Farnham - Pressure Down". www.video.news.com.au. 22 August 2011. Retrieved 8 August 2015. ^ "The Acoustic Chapel Session". www.allmusic.com. Retrieved 18 July 2015. ^ "The ARIA Report, Issue 1128" (PDF). www.ARIACharts.com.au. 10 October 2015. Retrieved 18 July 2015. ^ "Australiancharts.com – John Farnham – The Acoustic Chapel Sessions". Hung Medien. Retrieved 5 July 2015. ^ "John Farnham – The Acoustic Chapel Sessions". 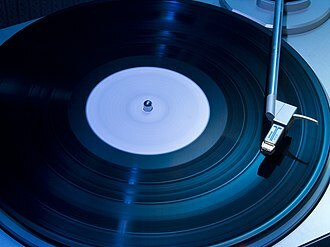 www.discogs.com. Retrieved 18 July 2015. Farnhams first single from the album was a reworking of The Beatles song Help. It peaked at No.8 on the Kent Music Report Singles Chart, the second single Please Dont Ask Me didnt chart, however it was re-released in 1991 as a live version as part of the Full House album and became a Number #22 on the Aria music chart. In 2000, to coincide with its 20th anniversary, Uncovered the album was re-mastered by Goble, from the mid-1970s, Farnham had moved into television and cabaret entertainment. Wheatley, who was already managing Little River Band, signed Farnham to his company in 1980. They decided Farnhams comeback single would be a reworking of The Beatles Help. which was produced by LRBs Graeham Goble, it peaked at No.8 on the Australian Kent Music Report Singles Chart. Farnham was utilising a more contemporary pop style and the associated album, produced by Goble. The B-side of Help was Farnhams songwriting debut Jillies Song, co-written with Goble, in recording the album, Farnhams studio band included guitarist Tommy Emmanuel, keyboardist Mal Logan, drummer Derek Pellicci and bass guitarist Barry Sullivan. John Peter Farnham, Jr. AO, formerly billed as Johnny Farnham from his professional debut in 1967 until 1980, is an English-born Australian pop singer. Farnham was a teen pop idol from 1964 to 1979, but has since forged a career as a contemporary singer. His career has mostly been as a solo artist although he replaced Glenn Shorrock as lead singer of Little River Band from 1982 to 1985, in September 1986 his solo single, Youre the Voice peaked at No.1 on the Australian singles charts. The associated album, Whispering Jack, held the No.1 position for a total of 25 weeks and is the album in Australian history. 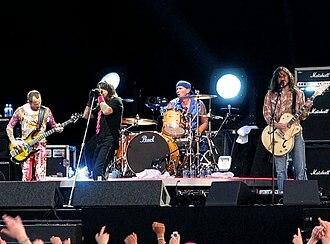 Both the single and the album had Top Ten success internationally including No.1 in Sweden, in 1993, Anthology 1, Greatest Hits 1986–1997 in 1997, 33⅓ in 2000, The Last Time in 2002 and Two Strong Hearts Live in 2015. Farnham has been recognised by honours and awards including 1987 Australian of the Year,1996 Officer of the Order of Australia, from 1969 he was voted by TV Week readers as the King of Pop for five consecutive years. Aside from his career, Farnham performed on stage with lead roles in Australian productions of Charlie Girl, Pippin. He starred in his own TV series and specials including Its Magic and Bobby Dazzler and as a guest on other popular shows such as Countdown. Australian rock historian, Ian McFarlane described him as the most successful solo artist in the history of Australian rock, Farnham has retained an affable sense of humour and a simple, unpretentious everyman charm which makes him one of the most respected celebrities in Australian entertainment history. John Peter Farnham, Jr. was born in Dagenham, England, on 1 July 1949, to John Farnham Sr and his sisters are Jean and Jaquiline, and his younger brother is Steven. Farnham spent his first ten years in the United Kingdom before his family emigrated to Australia in 1959 to live in Melbourne and he attended school at Yarraman Park State School, Lyndale Primary School and Lyndale High School. During school holidays, Farnham worked with a plumber and he left school to begin a plumbing apprenticeship. Whispering Jack is the twelfth studio album by Australian adult contemporary pop singer John Farnham. It was produced by Ross Fraser, and released on 20 October 1986 and it was the first Australian-made album to be released on Compact Disc within Australia. One of Farnhams biggest hits, Youre the Voice was issued as the single from this album. Prior to this album, Farnhams career had stalled after being recruited, Farnhams manager, Glenn Wheatley, mortgaged his home to raise funds for the recording of this album. After initial reluctance by major Australian radio stations to play the single, Youre the Voice, public demand became overwhelming. The song became one of the standout Number One songs on the Australian Charts of the 1980s, Whispering Jack restarted Farnhams career and kept it rolling across two more decades. John Farnham had been a teen pop idol during the late 1960s and 1970s billed as Johnny and he met Glenn Wheatley, who was bass guitarist of rock group The Masters Apprentices, when both acts were managed by Darryl Sambell. From the mid-1970s, Farnham had moved into television, Wheatley, who was already managing Little River Band, signed Farnham to his company in 1980. They decided Farnhams comeback single would be a reworking of The Beatles Help. which was produced by LRBs Graeham Goble, it peaked at No.8 on the Australian Kent Music Report Singles Chart. Farnham was utilising a more contemporary pop style and the associated album, was produced by Goble. The B-side of Help was Farnhams song writing effort, Jillies Song, in recording the album, Farnhams studio band included guitarist Tommy Emmanuel, keyboardist Mal Logan, drummer Derek Pellicci and bass guitarist Barry Sullivan. They became his tour band until Logan and Pellicci returned to their LRB commitments and were replaced by Sam McNally, three other solo singles followed in 1981 but none charted into the Top 50. In February 1982, after Glenn Shorrock had departed Little River Band, Farnham became their lead vocalist with recommendations by Goble and Wheatley. Age of Reason is a studio album by Australian pop singer John Farnham. It was released in Australia on 25 July 1988 and debuted at No.1 on the Australian Recording Industry Association Albums Chart in August and it was the follow-up to his previous No.1 album, Whispering Jack, and was the highest selling album in Australia in 1988. As of 1997, it was 11x platinum indicating sales of over 770,000 units and it is critically considered one of Farnhams best albums, with Age of Reason and Beyond the Call being about the urgency for the world to wake up and solve its problems. 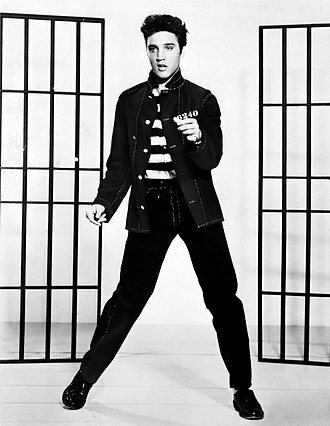 The first two singles from the album were Age of Reason, which peaked at No,1, and Two Strong Hearts, at No.6. Two further singles were released, Beyond the Call which reached the top 50, and Were No Angels, which did not. The album, Age of Reason, which was produced by Ross Fraser, debuted at No.1 on the ARIA Albums Chart in August and stayed on top for eight weeks. It was the highest selling album in Australia from 1988, and, as of 1997, renewed interest in Whispering Jack returned it to the Top Ten in August, nearly two years after its initial release. Looking Through A Tear is the third studio album by Australian pop singer Johnny Farnham, it was released in Australia by EMI Records in July 1970. Whippy was released as a double A-side in July 1969 and peaked at #4 on the Go-Set National Singles Charts, Raindrops Keep Fallin On My Head was released in November and peaked at #1 for seven weeks in January–March 1970. Farnham wrote two songs for the album, selling 180000 copies in Australia, Sadie was the highest selling single by an Australian artist of the decade. Farnhams first album, produced by David Mackay was released in April, almost immediately, Farnham was recording his second album, Everybody Oughta Sing A Song released in November. 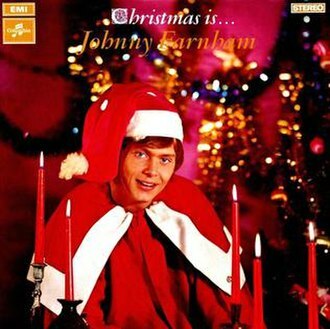 This was followed by a single, I Saw Mommy Kissing Santa Claus. Farnham released a cover of B. J. Thomas Raindrops Keep Fallin On My Head produced by Howard Gable, in November, which peaked at #1 for seven weeks in January–March 1970. Both of these singles were contained on his album, Looking Through A Tear released in July 1970. Statue of John Farnham, Melbourne Docklands. Image: Johnny Farnham Sings The Big Hits Of '73 Live!